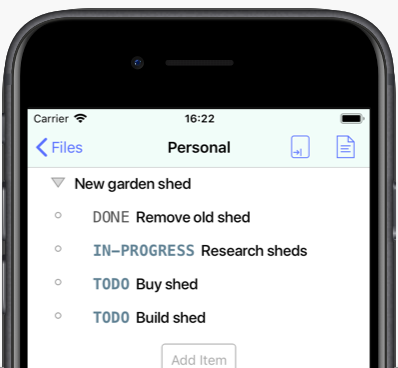 From simple todo lists to deep outlines for your most complex projects. 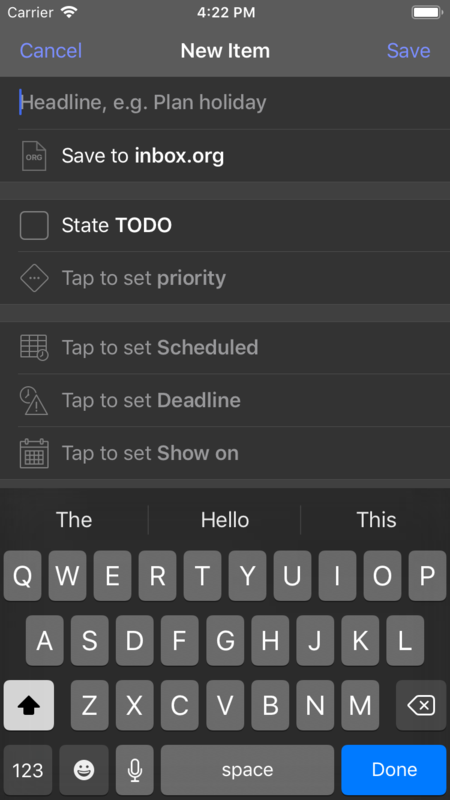 Go from TODO to DONE or use custom states to match your workflow. Capture ideas, notes and links. The outliner allows you to create and export documents with a simple syntax for rich formatting. 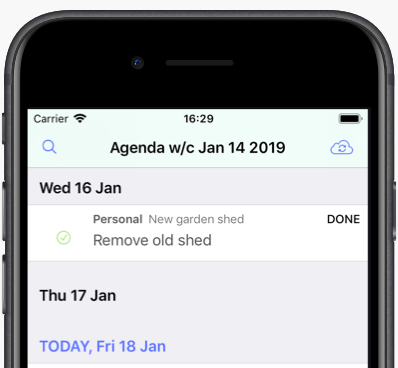 See all your tasks, from across all your projects, summarised on a weekly agenda. 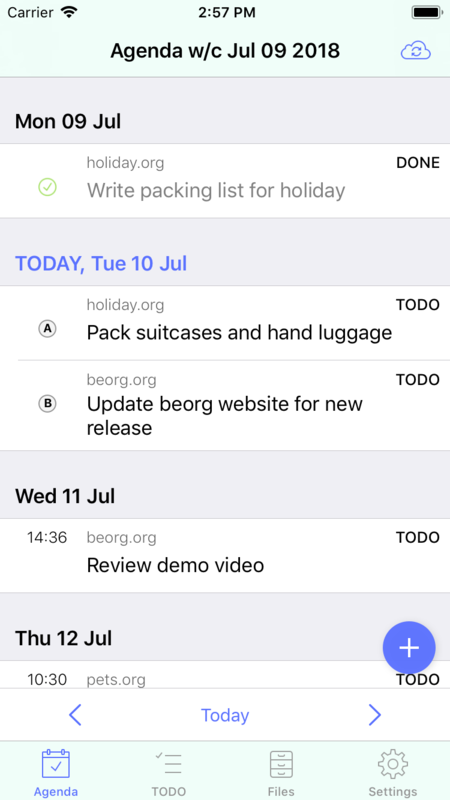 Choose to see calendar events alongside beorg tasks. Most apps don’t give you a choice where your data is saved. Future proof. View and edit beorg files in any text editor. Completely transparent. Files saved in beorg use the amazing Org mode syntax. Compatible with other mobile apps and applications for macOS, Windows and Linux. 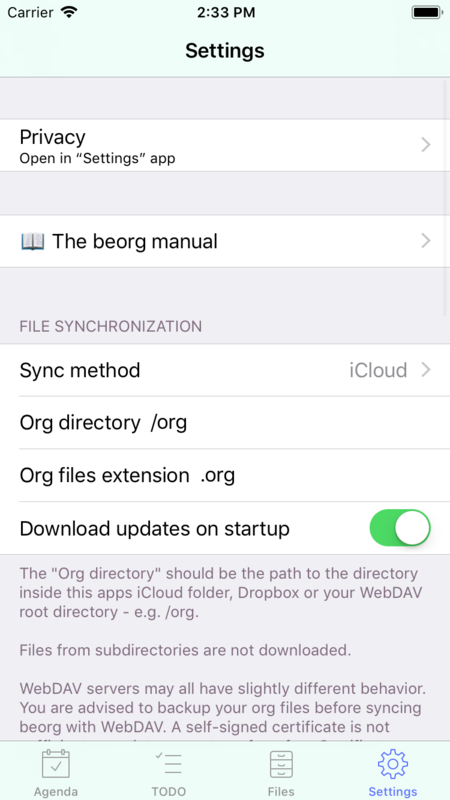 Sync your org files using iCloud, Dropbox or WebDAV. WebDAV is supported by services as OpenDrive, Nextcloud and ownCloud. Gives you a weekly agenda on your iPhone and iPad. 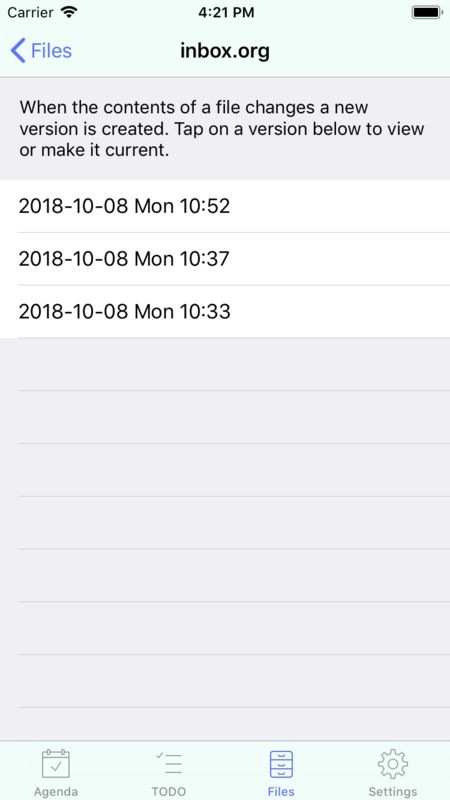 Events from your org files are shown alongside those from iOS calendars. Have your iPhone/iPad notify you of upcoming scheduled items and deadlines. Create and edit your tasks. 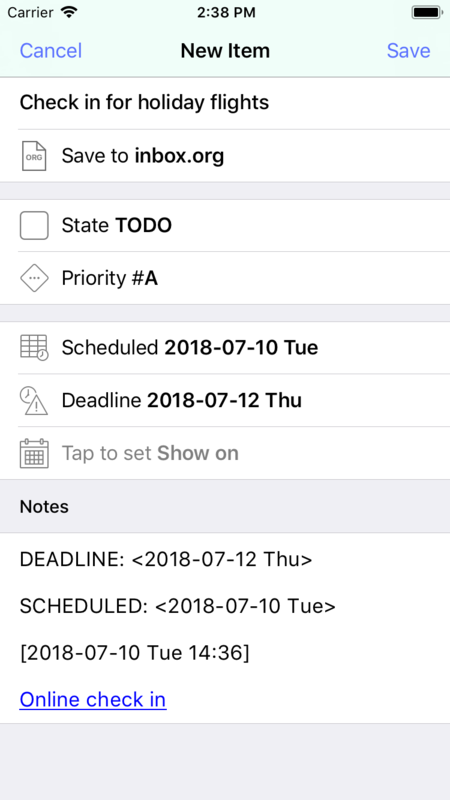 Assign dates, status, priorities and notes. Add to your inbox or assign straightaway to a file. 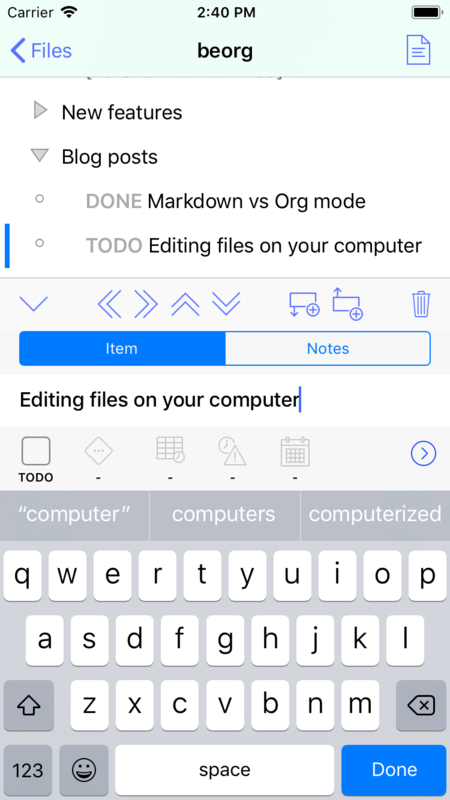 Use the outline editor to organize your tasks and notes. 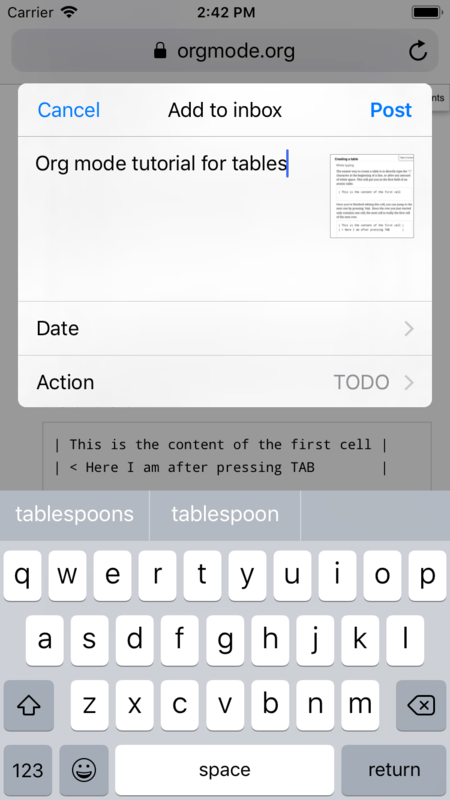 Use folding to hide/show sections and copy/paste text content into and out of other apps. 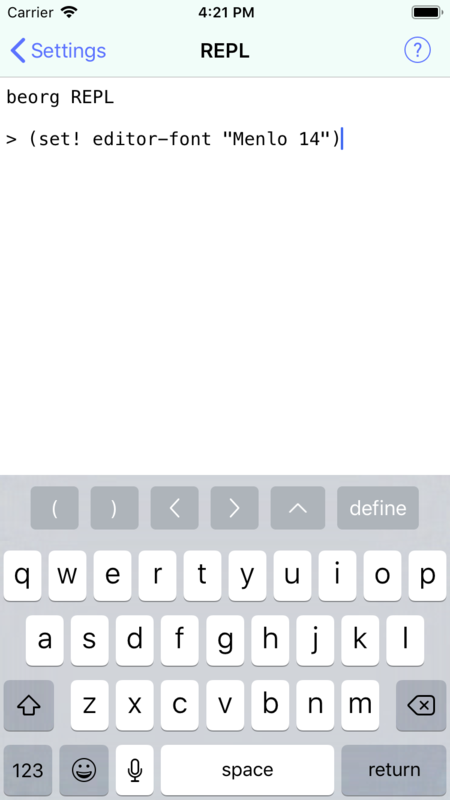 Add to your quick capture document from other apps or in beorg. The beorg share extension can quickly add text and links to your inbox. 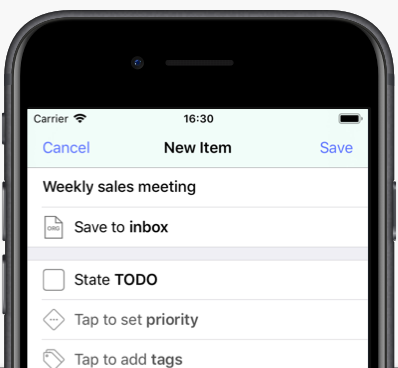 When adding tasks use the optimised UI to quickly add schedule or deadline dates. 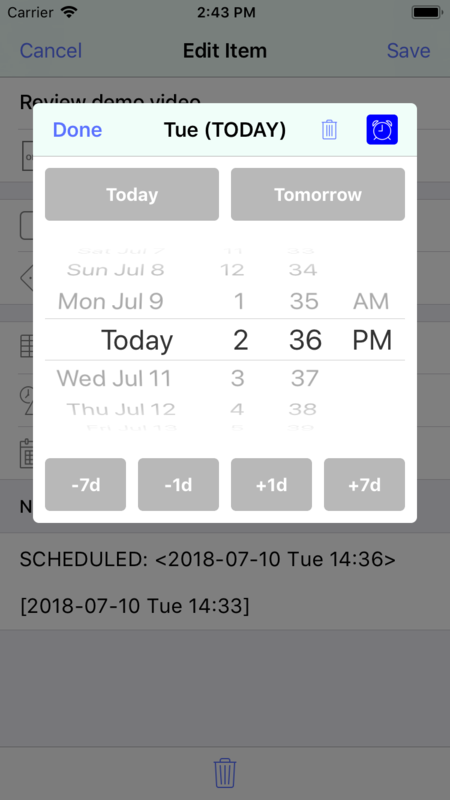 Shift dates with ease by day or week. 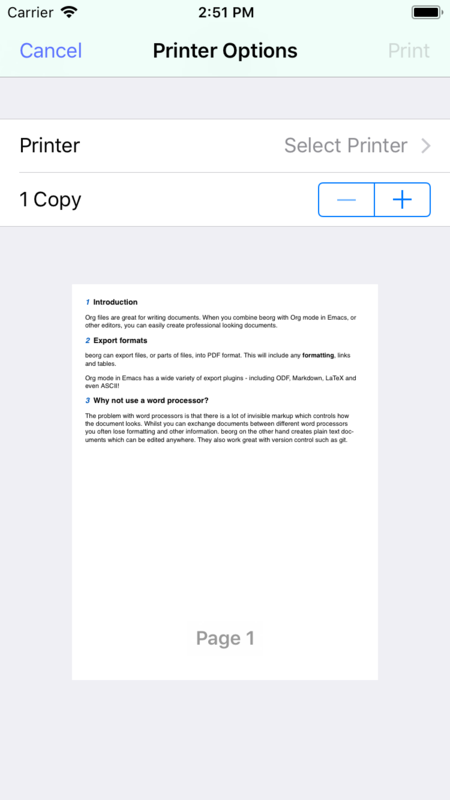 Generate PDFs of your outlines to save or print. Generated PDFs can include formatting, links and tables using the simple markup syntax. Use the built-in scripting language to create your own task filters and customise the editor. beorg keeps up to 7 days worth of backups of your files. Current in-app purchase extensions - dark mode, saved searches and Box sync. Free to download with extensions available via in-app purchase. 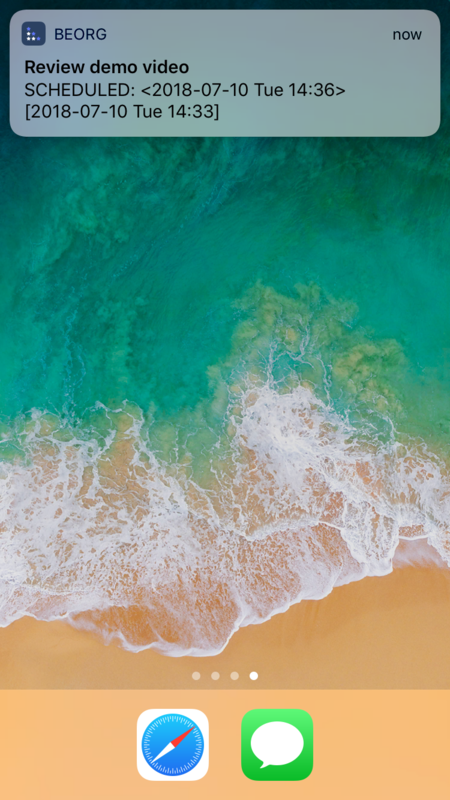 © 2019 Apps On The Move Limited.